Slingshot – Soft for Android 2018 – Free download. Slingshot – Quickfire photo/video from Facebook. 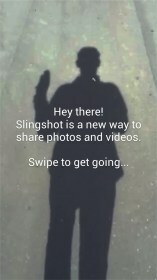 Slingshot for Android is photo and video sharing app from Facebook, where you “sling” your post to a person or group of people. 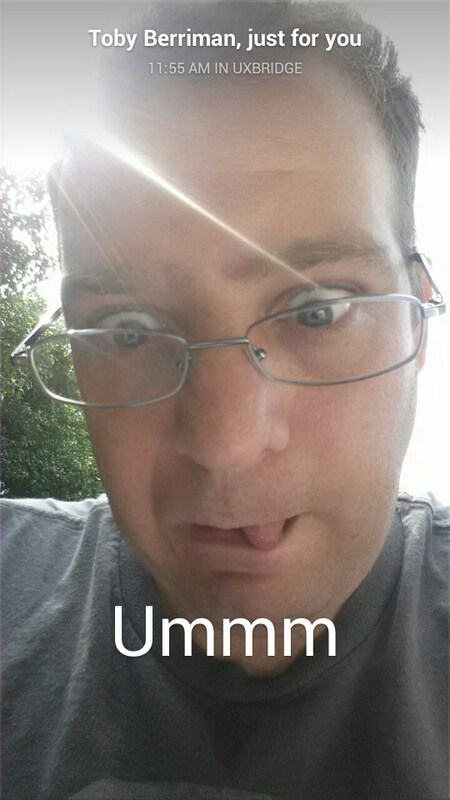 The content you send via Slingshot is time limited, so that no messaging history is recorded; a bit like in Snapchat. The twist is that your friends can’t unscramble your content until they sling back something of their own. The basic problem with the concept of Slingshot is that you don’t always have something interesting to share – but, by human nature, you are ALWAYS curious to see what your friends have sent. Very rapidly, people start taking photos of the floor, or whatever, just to unscramble the last post, in an inevitable downward spiral of boredom, until you finally stop looking. The interface of Slingshot is quite intuitive – you tap to take a photo, hold to record video. 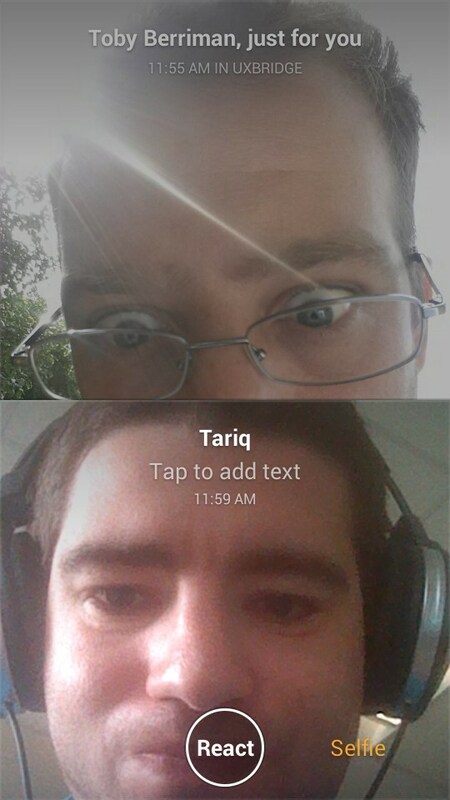 I’m not overly keen on the fact that Slinghshot uses the selfie camera by default. 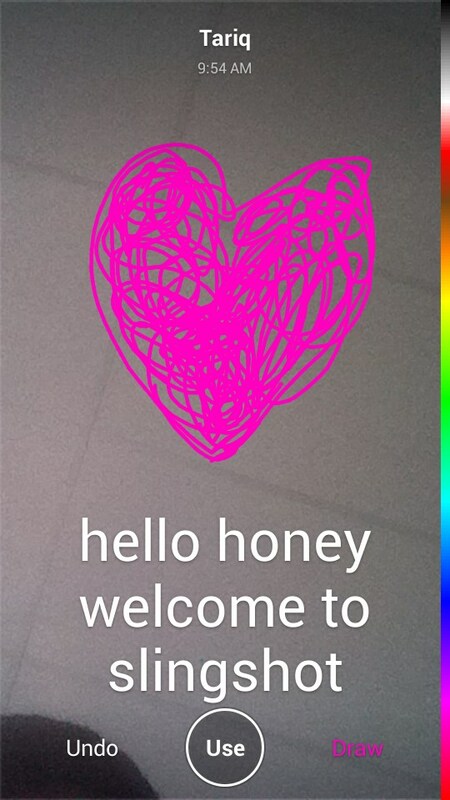 You can doodle on your pictures in any colour, and add captions or some large text. Slingshot is OK for sending a few silly faces to each other, to reconnect with somebody, but it is not very useful for actual communication; due to the need to reply before you can see a message. 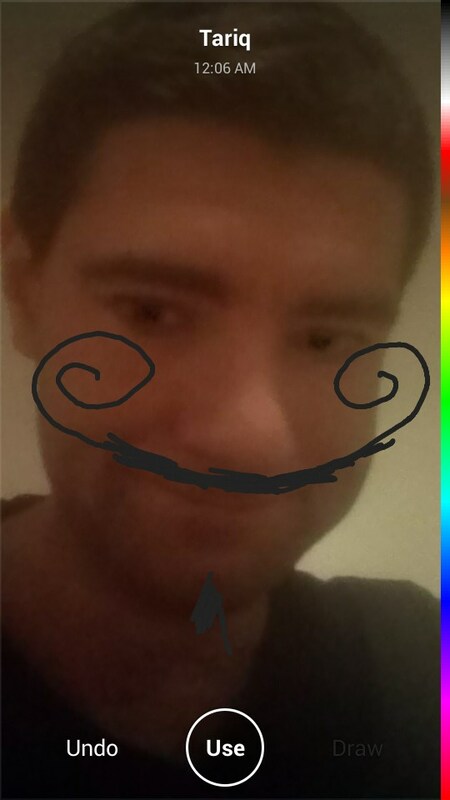 The way that slingshot pixelates your photo before firing it off to your friends is kinda fun. 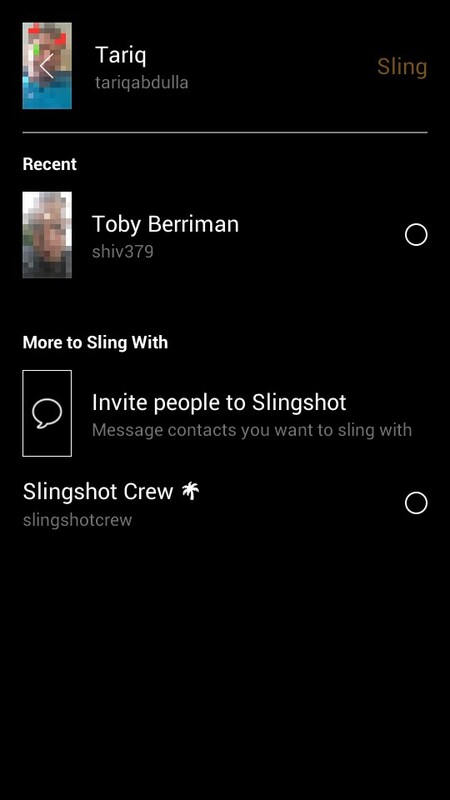 Surprisingly, given that Slingshot is from Facebook, it seems a bit hard to invite other people to use it. I can’t seem to message individual people on Facebook via Slingshot. 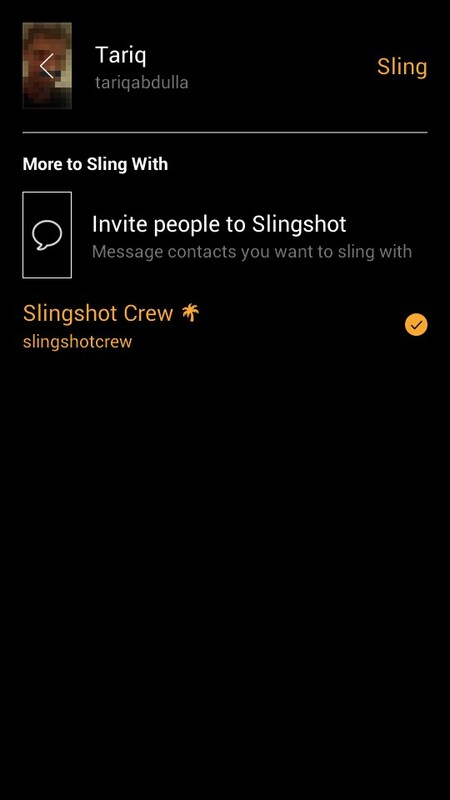 Hopefully, as Slingshot is linked to my phone number, people who know me should come up automatically when they start using it. I don’t entirely get this kind of fleeting communication. Maybe I’m just old fashioned, but I like to choose from things I’ve already recorded to send to people; not just to record what’s happening right now. The idea I suppose is to cut out the middle step: to share something right in the moment that it happens (you can opt to save your own slings). 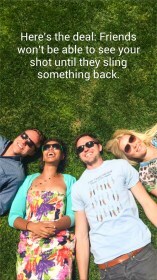 If this idea appeals to you and your friends, Slingshot could be an interesting way of doing it; as long as you can resist the temptation to share boring events to see other people’s slings.